The Index started growing up again inside the fifth wave, just as we expected. On the minor wave level, the instrument is finishing an initial bullish impulse. During a local correction, I’m planning to open one more buy order. More detailed wave structure is shown on the H1 chart. 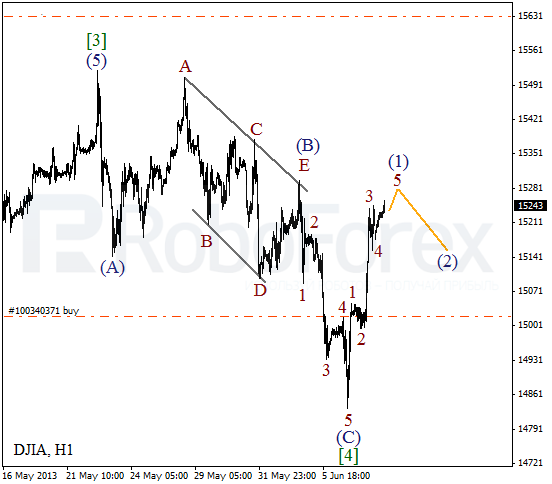 Wave  took the form of zigzag pattern. 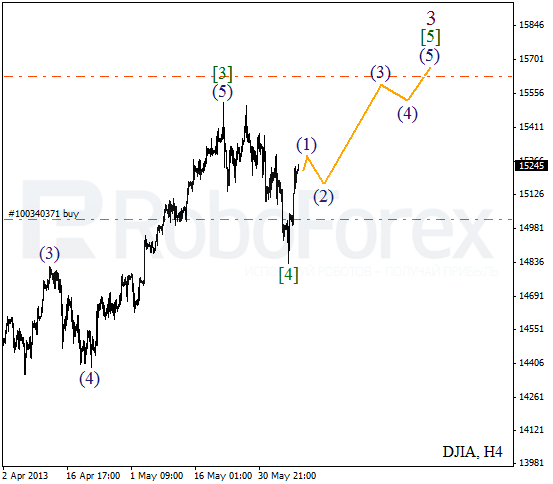 At the moment, the Index is completing the fifth wave inside wave (1) and may start a new correction during Monday. 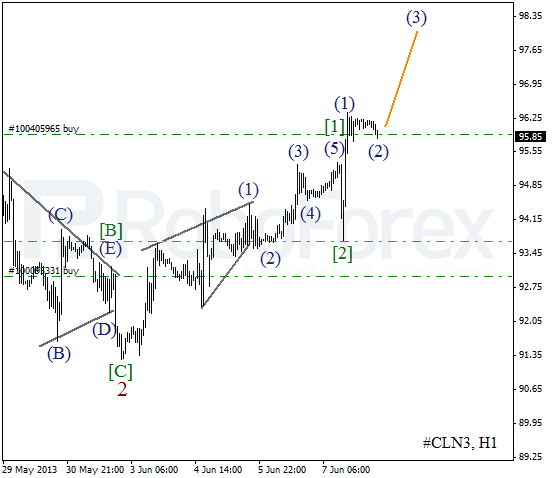 After completing zigzag pattern inside wave 2, Oil started moving upwards again. Last Friday the market formed wave  and started growing up inside the third one. There is a possibility that the instrument may break the latest maximum during the next several days. 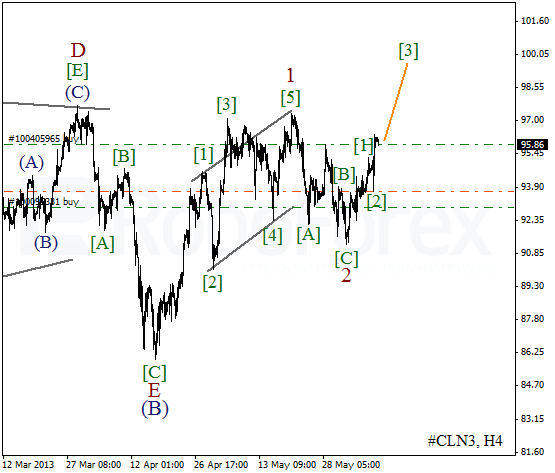 As we can see at the H1 chart, the price formed two initial impulses in a row. At the end of wave (2) I opened the second buy order. As soon as the market starts moving upwards, I’ll move the stops below the minim of a local correction.